New WWE Women's Tag Team Champions Crowned At WrestleMania 35 (Photos, Videos) - Wrestling Inc.
Tonight's WrestleMania 35 pay-per-view saw The IIconics' Billie Kay and Peyton Royce capture the WWE Women's Tag Team Titles by winning a Fatal 4 Way over Tamina Snuka and Nia Jax, Natalya and WWE Hall of Famer Beth Phoenix, and the former champions, Sasha Banks and Bayley. 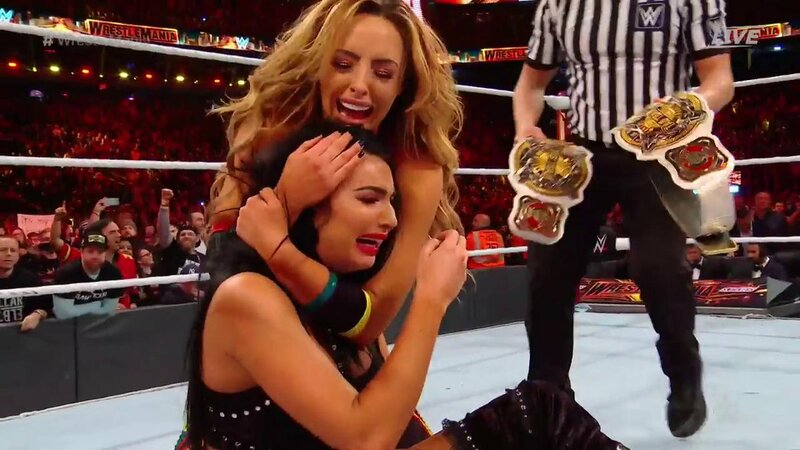 This is the first title run for The IIconics as they are the second team to hold these titles. Banks and Bayley won the titles at the WWE Elimination Chamber pay-per-view back on February 17. It's BOSS TIME. It's HUG TIME. I I C O N I C.